These terms tell you the rules for using our website www.knightsecuritygroup.com (our site). 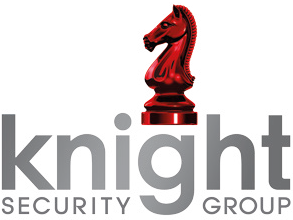 www.knightsecuritygroup.com is a site operated by Knight Security Limited (“We”). We are a limited company registered in England and Wales under company number 3584555 and have our registered office at The Stables, 23b Lenten Street, Alton, Hampshire GU34 1HG. Our main trading address is Trafalgar House, 325-327 London Road, Camberley, Surrey GU15 3HQ. To contact us, please email info@knightsecuritygroup.com or telephone 0345 658 3430. If you wish to complain about information and materials uploaded by other users please contact us by emailing info@knightsecuritygroup.com or calling 0345 658 3430. Different limitations and exclusions of liability will apply to liability arising as a result of the supply of any services to you, which will be set out in your customer agreement. If you wish to link to or make any use of content on our site other than that set out above, please contact us at info@knightsecuritygroup.com. Our logo is protected by UK trademark UK00002583703. You are not permitted to use it without our written approval.